New Amsterdam Vodka has partnered with Spotify on what the companies are describing as the platform’s first branded podcast series. The podcasts are an extension of New Amsterdam’s “Pour Your Soul Out” campaign, from David & Goliath. The campaign, featuring young adults who exhibit “unrestrained passion for everything they do,” launched in June with a TV spot spotlighting an up-and-coming drummer and a home page takeover of Spotify, among other elements. The free podcast series on Spotify, “Ebb & Flow,” is hosted by the DJ Jasmine Solano, a New Amsterdam brand rep. It features hip hop and R&B artists sharing their stories and music, with references to the vodka brand woven in. 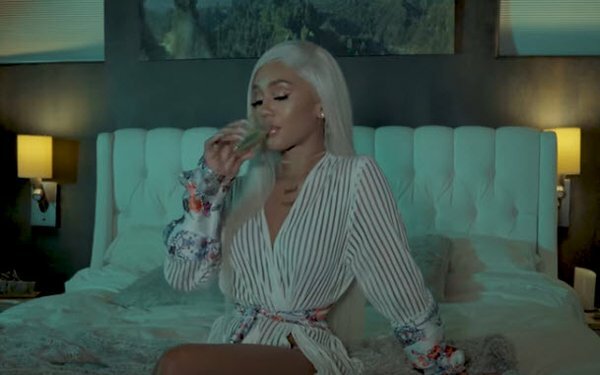 Artists in the series include Saweetie (shown), Gashi, Bryce Vine, J.I.D. and Skizzy Mars. In addition to social and digital promotion by New Amsterdam, the artists are promoting their podcasts on their own social accounts.